The term brochure refers to an informative piece of advertisement in paper or electronic form used for promotional purposes. It is most widely used by organizations and companies. They do it to make their products and services stand out among all other. Their physical forms usually get printed on thick glossy and colorful papers. These papers are then folded in various designs to make it easier to read, look at and put away. That also gives the designer a chance to put more relevant information on an otherwise limited area. How is this achieved? Simple. By hiring a brochure copywriter. Brochures are part of the so-called “grey literature” produced by private companies or even the government. Their printed form is often distributed by hand to people, or by e-mail and other devices in their electronic form. The main purpose of brochures is to attract people. The tools used to do that are bright colors and persuasive language. That is where a brochure copywriter comes on stage. Looking into the different ways of folding brochures, you can divide them into: Single (half) fold brochures, tri-fold brochures, and Z fold. Apart from these basic ones, there are: double parallel, single gate fold, and double gate fold. And the most unusual ones are: roll (barrel) fold, right angle (French) fold, half-fold, tri-fold, and accordion (M) fold brochures. The brochure creators, including both designers and content writers, analyze the proposed content. And then they select one of the folds accordingly. The brochure content writer proceeds to finetune the content of the brochure. In addition to folding them in different ways, brochures also differ in types. The brochure copywriter’s job is to decide on what kind of effect the brochure should have on the readers. After a careful analysis, there are several options to choose from. It can make them buy a product, make an inquiry or even get back a long-lost customer. There are six different types of brochures. Those are leave-behinds, respond to inquiries, handouts, point-of-sale, direct mail and sales support tool brochures. Is there more to it than the appearance and the content? First of all, a brochure copywriter needs to determine the audience for the message they want to convey. The brochure can persuade, inform or even entertain. The brochure copywriter is the one who must decide in which direction the writing should go. Often the usable space of a brochure is fairly restricted. Thus, the content of the brochure must sometimes be made shorter to fit the desired area. No irrelevant information should make it onto those pages, only concise and accurate information. Brochure copywriters should also include contact information. That includes e-mails, telephone numbers or even an address where the readers can test and buy the goods. Although examples of good brochures find their place in every corner of the globe, some stand out more than the others. One of the most famous examples of a well-thought-of brochure is the DHL brochure. Their DHL Carbon Action Plan Brochure uses genius design and top-tier writing to present their company. Namely, when folded, this brochure looks like one of their delivery packages. It is also printed in the well-known yellow and red colors of the company logo. When opened, an expertly written text gets their message across, guaranteed to attract the attention of any customer. Inevitably, there are as many poorly designed brochures as there are good ones. What should one avoid when creating a world-class brochure? Too big or small a font, inappropriate messages and not enough or too much information. You should also avoid pictures that tower over the text or make the text hard to read. Most famous companies avoid these kinds of mistakes. But, surely one of the most famous examples of bad design is the brochure for Mt. Rushmore and Crazy Horse tour. This brochure makes you wonder if they have ever heard of the “less is more” expression. Too much text, blurry pictures and lots of information makes anybody who picks this brochure up feel dizzy. With free coupons included, there is no way of navigating through this maze of piling words and redundant pictures. Countless brochure content writing services offer just as many different brochure content writing techniques. However, they deviate greatly in quality, price, benefits, and other elements. Thus, the top 10 list provides the best quality of service and the greatest deals. Furthermore, one can rest assured that the final product will be way ahead of anything that other brochure content writing services could ever offer. However, one should keep in mind that some of these services specialize in specific types of brochures. Hence, some of them may not fit your vision. You can expect a great amount of creativity from The Write Idea. The same creativity they used when they created their name. The Write Idea is comfortable with working with any and all kinds of brochures. They create “clear, concise, and professionally persuasive content for your corporate, capabilities or other types of brochures.” They state this on their website and they follow through. According to a vast number of reviews, this turns out to be more than true. When developing one of the brochures, they tend to think about two factors – where it fits into a company’s sale and the buyers’ purchasing process. The Write Idea uses the philosophy of “YES” in all their work. They say that “yes” is the most powerful word that makes the world move. They want their brochures to get the buyer one step closer to saying “yes” on whatever the brochure is selling. And that is exactly what they achieve. Although not technically a brochure content writing service, Upwork employs a vast number of content writers. These content writers, among other things, specialize in brochure content writing. Choosing a great content writer on this website is easy. There are so many choices that finding one that suits your specific needs can be a piece of cake. A fantastic ratings and reviews system offers great insight into work habits, specialties and various other attributes of these writers. Also, it shows whether they are a native or a non-native English speaker. To make the search process easier among the great number of writers, you can use a variety of parameters. These parameters can be set in order to assist any and all who find themselves on this website. Yet another great asset of Upwork is the price. Namely, every contractor on this useful website determines his own fees, ranging from incredibly low to higher ones. The only problem is that the quality will vary greatly. Finding a reliable writer who has the necessary skills can sometimes be quite tedious. Despite these obstacles, one can find content writers that specialize in just about anything. From the simplest ideas to some of the most complex ones. It is all a matter of agreement between the employer and the employee. In some cases, it is very well worth the risk. Writer Access, similarly to Upwork, employs freelance writers. Many of these writers specialize in brochure content writing. With a six-star rating system, one can have their pick of the litter. You can easily find the writers’ entire portfolios on this well-organized website. It includes the exact number of words they have written and the number of clients. Selecting a writer gives an even more detailed description and further information such as fields of expertise, success rate, location, education and most important of all, prices. It is as simple as creating an account and choosing among the best of the best. This website may be the best choice when looking for a specific type of an experienced brochure copywriter. Brochure content writing has never been easier to get a hold of. With eight years of experience and a very creative name, Killer Content Writers are a professional content agency. Their track record says that they have served hundreds of customers. The clients often return for more content. Their brochure content writing service is as busy as any other. Their brochure writing department carries out the right amount of research before writing a single brochure. And they specialize in both business writing and analysis. Their experience has helped them produce better brochures every single time, gaining more experience with every completed task. Quality often comes with a steep price, but in this case, quality comes cheap. Their native English writers produce high-quality brochures for minimum prices. It is important to note that their brochure content writing process depends on the medium. But, they shine in both printed and electronic ones. However, in both cases, they maintain more or less the same steps. They take all the essential details from their clients and develop a primary structure. Later they research on how to create a brochure that best represents the ideas. They achieve all this in one swift move. An experienced proofreader then checks all the work they have carried out. All of this ultimately results in brochures a client can be proud to show and further distribute. Reknowly brochure content development uses a three-pronged approach. Its focus is on the marketing approach of the business, content quality and presentation. This enables Reknowly to have a deeper grasp of the market. Thus, they can produce a high-quality brochure that suits that market perfectly. The content of the brochure communicates the message briefly and makes the desired impact on the mind of the customer. They guarantee that the brochures created by their team will then reach the customer and convey the important message. That way, they root their ideas in the customers’ mind. Along with the content, Reknowly prides itself on the presentation. Their brochures have a high aesthetic value. The text, in combination with images, makes the brochure appealing to the customer, drawing undivided attention. Godot is a service that promotes their brochure content writing on two mediums – the Internet and print. One of their writers will always deliver a copyright content and target the customers of the product itself. That way, they provide any and all answers someone might seek. The main goals of their copywriters are not only to impress. They also need to achieve set business objectives to promote the products further. They focus on the customers themselves by analyzing them and their needs. Then they adapt the words of the brochures and make the customers want to read them and realize just how good their offerings are. This later results in a conversion rate that greatly improves one’s business. Their main feature of affecting customers is a unique approach. It works quite well, with customers crowding from all sides, wanting a slice. This business model requires a lot of work in reality. But, Godot team is happy to provide it for low fees with an experienced team of brochure writers. Satisfying the needs of both the company and the customers is right in their ballpark. Textuar is an Indian-based brochure content writing company. They know exactly how much a well-written brochure can help a business flourish. Their brochure content writing team strives to complete their task and hit all the targets they set for themselves. Brochure, a well-written sales tool, helps a company prosper by hitting all the right marks. What can one of their brochures achieve? The prospect has a hard copy that they can turn to even when they are offline. The prospect can also go further into the sales funnel and make an informed purchase decision. A brochure made by Textuar is rarely thrown away, and when it is, its effect lasts. They keep sustained interest in the brand by smart use of whitespace, images and text content. This provides greater chances of engaging with it even further down the line. By following these principles, Textuar provides their customers with an all-around well-written brochure. It is sure to be top-notch, leaving the customer satisfied with their services. Textuar lets their work speak for itself; along with an ocean of customer reviews which praise the work they had done. Editor Group is a company that is based in three cities: New York, Sydney, and Singapore. They mostly employ native speakers. This is why a customer can rest easy knowing that their message will sound quite good in English. The brochure made by this company will have a natural sounding language to make it look and seem more professional. Their process includes lots of interviews and thorough research. Having written the first draft, Editor Group brochure writing team starts by working closely with their clients and stakeholders to create the final version. After they complete each stage of their process, they review, edit and proofread their work. All of this is done to ensure that the client is left with a high-quality product. Everything about Editor Group is client-oriented. This is how they make sure that their products always hit the spot with both their clients and the consumers. A team that consists of expert brochure writers hits the target right in the bullseye. And then they give their clients exactly what they asked for. Editor Group often goes even further to ensure that nothing goes wrong. Their brochures are a safe choice if you are a client who is not sure how to get his message across. You can work with their team to get the desired result. “CREATIVE COPYWRITING. BALLSY BRANDING. AND A KILLER CONTENT STRATEGY” is the slogan of the company. This is also what hallmarks their brochure copywriting. The client can feel safe when employing The Creative Copywriter. They make it their priority to attract customers from the first word. According to them, the design makes up a good portion of a job well done. What sets The Creative Copywriter apart from the other companies that offer the same or similar services? Surely, it must be their knack for marketing. A good placement, a carefully written leaflet and a message that stays with the one who reads their brochures. These are reasons enough to choose them as your brochure copywriter. The Creative Copywriter is a company that uses their reliable services to make sure that they present their customer’s brand as superior. They make it obvious that there is no one who does it better than that brand. Their brochures keep one’s attention and are not (as most brochures and leaflets are) quickly thrown in the bin. This is ensured by employing world-class content and brochure copywriters who will not rest until they finish the job. The Creative Copywriter employs top-of-the-class designers. Fantastic brochure copywriting skills make it clear that there is no one better at what they are trying to do. GoSuperb takes the first place, and rightly so. 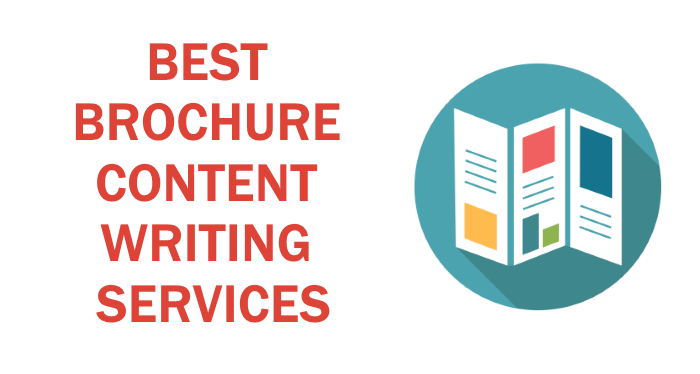 Just as its name suggests, GoSuperb offers superb brochure content writing services that are miles ahead of the competition. All about this service screams “superb”: its writers, prices, revision deals and money-back guarantee. One of the qualities GoSuperb should be most proud of are the writers themselves. GoSuperb handpicks the content writers they hire and evaluates them using strict measures. They pride themselves in the quality they provide their customers with. They can only achieve it by employing highly-trained competent content writers. In addition to their mastery of English, their training allows them to excel at marketing. This skill is most useful in brochure content writing. The prices of GoSuperb should not be questioned; the price may seem quite low for the word count proposed. Nevertheless, one may rest assured that this does not affect quality in any way whatsoever. Their writers avoid using filler words, complicated phrases or repeated points that lead to higher word count. GoSuperb has managed to bridge the gap of affordability and content quality, thus leaving their customers coming back for more ever so often. What do they do when the customer is not satisfied with the product? It is quite simple. GoSuperb offers the best package deal which includes unlimited revisions at no additional cost. However, this is hardly ever the case since the company incorporates an incentive program that makes their writers give it their all on their first try. They then earn generous bonuses if the company and the customer accept the first draft immediately. This leads to a unique scenario where every party involved strives to deliver the perfect copy the first time around. One of the greatest advantages to GoSuperb is their money-back guarantee. An assurance to give the client their money back in case the final product does not live up to the expectations is a great deal. This only adds to the list of reasons why someone should choose their services. But, it is actually a highly unlikely scenario since they offer unlimited revisions if the first draft fails to deliver. What really sets GoSuperb apart from others is that they never misinterpret the customer’s order. The final product is exactly what the customer has requested and often so much more. The client-company communication is of utmost importance and opting for GoSuperb can only be deemed a superb decision. There are oceans of brochure content writing services and platforms. This short overview gives an insight into some of the best ones on the market. Used to promote a company, a product or just to inform, brochure content writing services have some of the best writers. These writers have managed to sell countless ideas and prove their worth with each passing day. They work together with the designers to present your agenda in the best light and help you achieve your goal. The customer’s role is only to decide which brochure content copywriting service best suits their project. And that service is just a few mouse clicks or a phone call away. Next time you pick up a brochure, make sure to appreciate the effort that brochure content writing agencies have put into realizing an organization’s dream. Try to hold onto it – don’t just throw it in the bin without giving it a second thought.